Note: Admins must have registration permissions or higher to update text, add additional inventory, and enable/disable options. 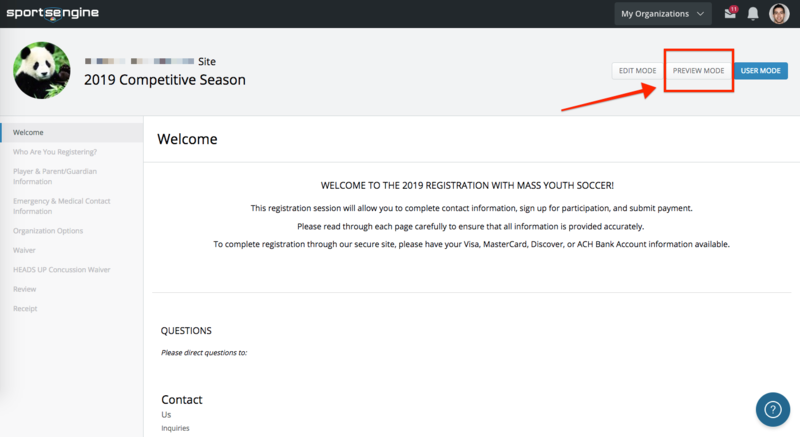 Step 3: Click the Registration URL you want to adjust. Step 4: In the upper right-hand corner of the screen, click Preview/Review Mode. Step 5: In the menu to the left, click on the form you wish to update. Step 6: To edit the question/text, click the Gear icon > Edit. Step 7: Make the desired changes. Step 8: When finished, click Save Changes.